The South Siders’ path to a championship continues this weekend. The No. 19 Maroons (16–7, 3–0 UAA) will travel to St. Louis where No. 11 Wash U (18–5, 2–1 UAA) will host the second UAA Round Robin of the season. The team will play four matches, two on Saturday and two on Sunday, which will eventually determine the seeding for the UAA Championship in three weeks. The Maroons will start the tournament against No. 4 Emory (22–1, 3–0 UAA). Emory will be the team’s biggest challenge this weekend. Chicago’s defense will be one of the keys to the match. The Maroons will rely on the continued defense of third-year libero Eirene Kim, who led the team with 26 digs at last weekend’s Midwest Volleyball Challenge. “We have to close the block first so that their good attackers can’t hurt our defense on the ground,” said fourth-year middle blocker Maggie Vaughn. Following the Emory match, the Maroons will have slightly less intimidating competition. To finish off Saturday, the team will square off against unranked NYU (18–2, 2–1 UAA). Carnegie (16–6, 1–2 UAA) and Case (11–12, 0–3 UAA) will be the two matches on Sunday for Chicago. Even though these are some of the weaker teams in the UAA, the Maroons do not plan on taking these games for granted. The Maroons are looking to bounce back after losing the last two matches at the Midwest Volleyball Challenge last weekend. The final match saw the team fall to No. 1 Calvin College in three sets. Yet the South Siders recognized that the regional tournament featured tougher competition than they have seen all season. They are hoping they can use that experience to have a strong showing this weekend. “Especially [now] when it is the time that school ramps up and tends to become overwhelming, those tournaments are the true test of the team’s composure and discipline,” Vaughn said. 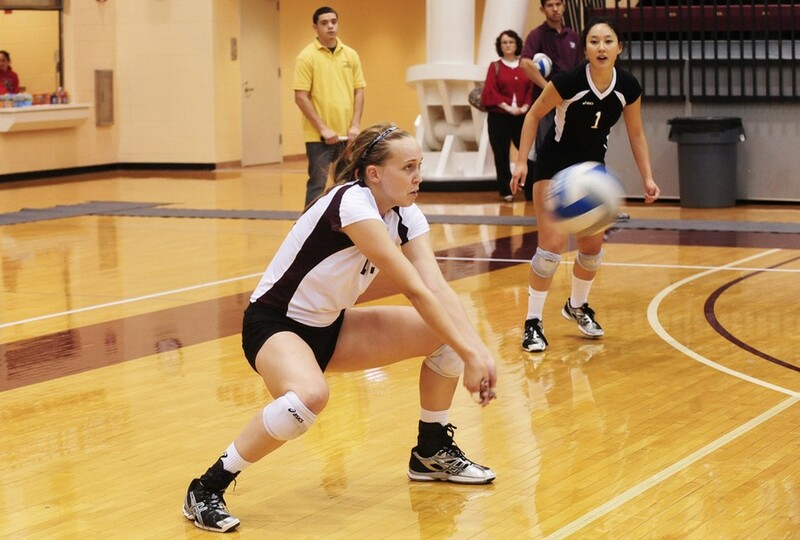 The Maroons will look to second-year outside hitters Maren Loe and Jasmine Mobley on the offensive front. The two led the team in kills at last week’s tournament. They will also rely on fourth-year setter Nikki DelZenero, who posted a season-high 58 assists at last week’s match against Bethany College (19–7). Chicago is confident it will perform well this weekend, based on previous matchups and familiarity with these teams. “The conference tournaments are always different because these are the girls that we play every year. We know the general tendencies of each team, so it’s easier to get into a groove,” Vaughn said. The Maroons’ quest for good seeding continues when they begin the Round Robin by facing Emory on Saturday at 12:30 p.m.